Simone Kaslowski graduated from Clark University in Worcester, Massachusetts in 1984, after completing primary education in Istanbul. He began working in the sales department at Organik Kimya, a family business, in 1985. Kaslowski significantly expanded exports of Organik Kimya products and was appointed head of sales in 1993. 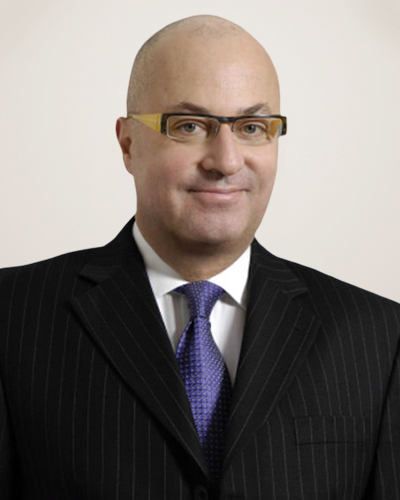 After actively working on various investment projects for the firm, Kaslowski was appointed CEO and became member of the board of directors in 1995. His leadership was instrumental in the growth and expansion of Organik Kimya. Organik Kimya operates in 80 countries and has a 250-thousand-ton production capacity in facilities in Kemerburgaz and Tuzla in Istanbul; Rotterdam, Holland; and Lugano, Switzerland. Simone Kaslowski worked to develop the chemical sector in Turkey and contributed to the Chemport project of the Turkish Chemical Manufacturers Association. Kaslowski was Chairman of the Chemical Industry Task Force of TÜSİAD. He has been on the Board of Directors since 2013 and has chaired the EU Affairs Committee and the Global Relations and EU Roundtable, significantly contributing to the international efforts of the association. Kaslowski has been Vice President of TÜSİAD since 2017 and was elected President in February 2019. Batu Aksoy, born in 1977 in Istanbul, graduated from The Johns Hopkins University (USA) Electrical & Computer Engineering Faculty in 1998. He started his career by working in a communications firm in USA between 1998-2000. Upon his return to Turkey, Mr. Aksoy continued his career at Aksoy Holding as a Board Member responsible from developing energy projects between 2000-2005. During this period, he established and managed group companies in power generation, energy wholesale, and natural gas wholesale. Following the consolidation of the Group’s oil and energy subsidiaries under one roof, Mr. Aksoy started to serve as an Executive Board Member at Turcas Petrol in 2005 and later as the CEO as from 2010. Under this context, Mr. Aksoy serves today as a Board Member at the Shell & Turcas Petrol JV company, Vice Chairman at the RWE & Turcas Power Generation JV company, and Chairman at the wholly-owned Turcas Kuyucak Geothermal Power Generation company. Batu Aksoy also serves as the Executive Vice Chairman of Aksoy Holding and holds the same position at the following group subsidiaries: Yeditepe International Hotels (Conrad Istanbul), Aksoy Bodrum Real Estate Investment Co. (Epique Island Bodrum), Aksoy Maslak Real Estate Investment Co., Aksoy Petrol Real Estate Investment Co., Aksoy International Trading, and Aksoy Middle East companies. Batu Aksoy chaired PETFORM (Petroleum and Natural Gas Platform Association) between 2006-2008 and chaired ETD (Energy Traders Association) between 2013-2014. Batu Aksoy started to contribute to the works of TUSIAD (Turkish Industry and Business Association) in 2006 through active participation in its Energy Working Group which he became the Vice President of in the years that followed. Batu Aksoy, who is the Honorary Consul of the Republic of Chile in Istanbul, is currently a Board Member of TUSIAD, Vice Chairman of TURKONFED (Turkish Enterprise and Business Confederation), a Board Member of the Turkey-U.S. Business Council (TAIK) and the Turkish-Chile Business Council of DEIK (Foreign Economic Relations Board of Turkey), and a Member of Dean’s Advisory Council at The Johns Hopkins University Carey Business School. Batu Aksoy is the Leader of TUSIAD’s Regional Development Roundtable. He has been a Board Member of TUSIAD following its General Assembly dated January 12, 2017. 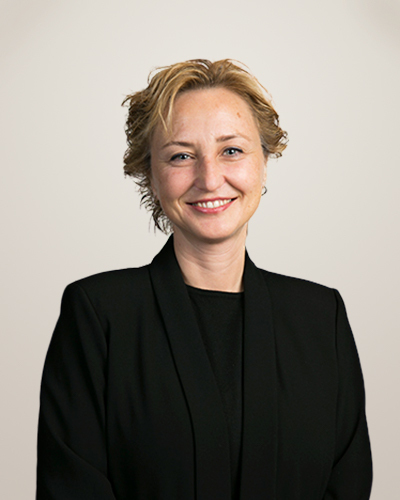 Serra Akçaoğlu is the CEO (General Manager) and Board Member for Citibank A.Ş. In addition, Mrs Akcaoglu is also responsible for 60 countries in EMEA in which Citi doesn’t have physical branches or subsidiaries but provides corporate baking services. Prior to her current role, Serra Akçaoğlu was Consumer and Commercial Bank Head for Citibank A.Ş. 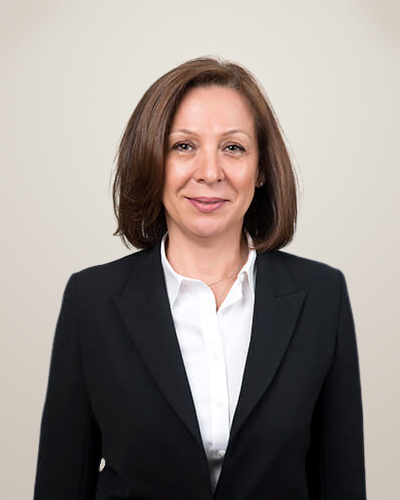 Previously, Ms. Akcaoglu was the EMEA Trade Services & Finance Head for Global Transaction Services based in London. In this role, she was responsible for trade finance and the regional strategy of the trade products, new product development and positioning of 50 countries located in this region between 2005 and 2007. Serra Akçaoğlu joined Citi in 2000 as Trade Head for Turkey and become Global Transaction Services Cluster Head in 2002. 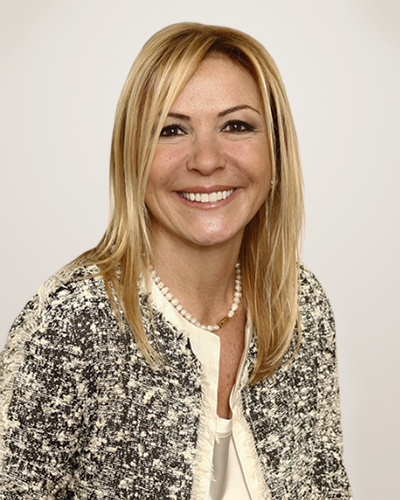 Prior to joining Citi, she has worked in Manufacturers Hanover Bank, Chemical Bank and Kocbank for 14 years. 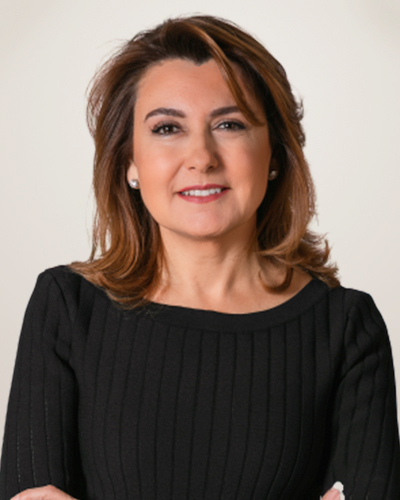 Serra Akçaoğlu is the Chairwoman of American Business Forum in Turkey and a Board Member of the Turkish Banking Association. Serra Akçaoğlu graduated from the Bosphorus University with a Bachelor’s degree in Business Administration. 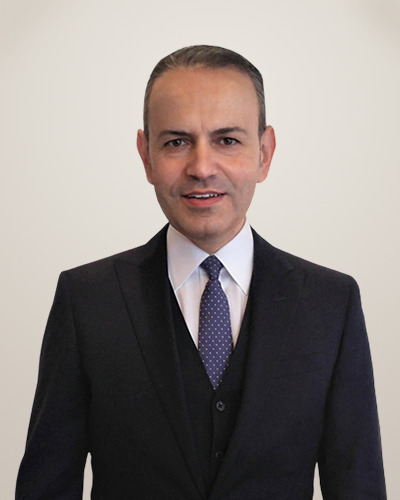 At 1989 Fatih Kemal Ebiçlioğlu started his career at the Ministry of Finance as a Junior Financial Auditor and served as a Financial Auditor and Chief Financial Auditor. He worked as a lecturer in Hacettepe, Bilkent and Atılım Universities between 1998-2002. He joined the Koç Group in 2002 and worked as the Coordinator of the Finance Group and continued as the Coordinator of Audit Group between 2004-2005. In April 2005 he was assigned as Chief Financial Officer (CFO) of Arçelik AS. From February 2015, he serves as President of Consumer Durables at Koç Holding AS. He graduated from Ankara University, Faculty of Political Science and Public Administration. He completed his MBA in Finance at Virginia Commonwealth University and has a PhD from Ankara University, Faculty of Business Administration. Serkan Sevim is a serial technology entrepreneur with “double exit” experience living in Istanbul. He started his first business while he was a masters student in the USA at the age of 25. Serkan Sevim started and keeps working focused on Medianova, one of the fastest secure CDNs based on Cedexis real user data in Europe, North Africa and Middle East region. In 2018, Medianova got mentioned on Gartner's 2018 CDN Market Guide. Medianova was also awarded as one of the fastest growing technology companies by Deloitte’s Technology Fast50 Turkey Program five times in the years of 2011, 2012, 2013, 2014 and 2015. Sevim, was President of the Young Executive and Businessmen Association (GYIAD)'s 15th term between the years of 2015-2017, currently a member of the prestigious Turkish Industry and Businessman Association (TUSIAD) and actively works at the Entrepreneurship and Digital Economy Round Tables. He is also a mentor at the Founder Institute, world’s premier startup launch program for talented entrepreneurs. Sevim appeared on media channels such as Bloomberg TV, Fortune magazine, BusinessWeek and was speaker on several international conferences. Bedii Can Yücaoğlu is Director in Map Yatırım. 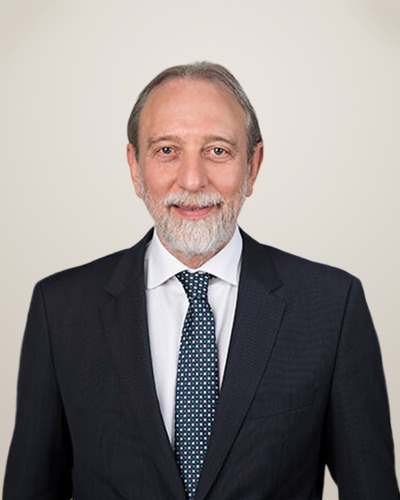 Currently, he is the shareholder and the board member of Burda Bebek, Silahtarağa Gayrimenkul, Turkuaz Turizm, Map Elektronik and Tarımsal Kimya. Prior to joining Map Investment, he worked as a manager at Turkven Real Estate and as a consultant for McKinsey & Company in strategy development in the finance, logistics and venture capital sectors. He holds an MBA from Harvard Business School and a BS in Electrical Engineering from Northwestern University. He is actively involved in the TÜSİAD Entrepreneur Roundtable, Harvard Business School Alumni Board, Turkish Education Foundation Asset Committee and Trustee Board of Entrepreneurship Foundation. 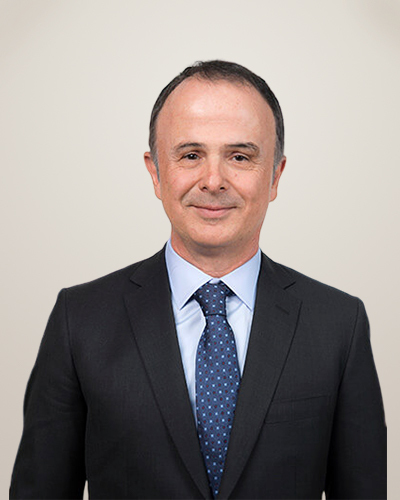 Baris Oran is the CFO of Sabancı Holding. He started his career as an auditor at Price Waterhouse Coopers and from 1998 to 2003, worked at Sara Lee Corp in Chicago IL, in audit, finance and treasury/capital markets. Between 2003 and 2006, he worked as Senior Manager at Ernst and Young initially at Minneapolis, MN and then in Europe, Middle East, Africa and India regions.He started working at Kordsa Global in 2006, and held positions of Internal Audit Director, Global Finance Director and CFO respectively. Oran has started at Sabancı Holding in 2011. 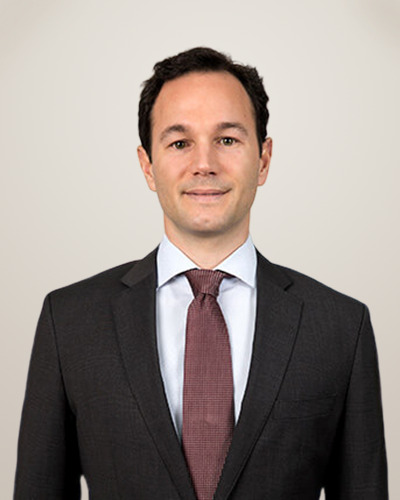 He graduated from Boğaziçi University, Department of Business Administration, completed his MBA studies at the University of Georgia and Advanced Management Program at the Kellogg School of Management, Northwestern University. Mr. Oran serves as the Chairman of the Board of Directors of Sabanci DX and he is a member of the Board of Directors of Brisa, Enerjisa Enerji, Enerjisa Uretim, Carrefoursa and Cimsa. He is also a Member of the Board of TUSIAD, BUMED and TUYID. 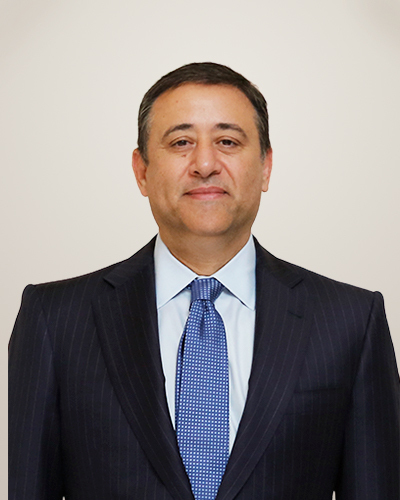 Murat Özyeğin is the Executive Board Member of FINA and FIBA Holding, Chairman of all of Fiba Group's non-financial businesses. He is also the Vice Chairman of Credit Europe Bank Group which is Fiba Group’s largest subsidiary in finance. 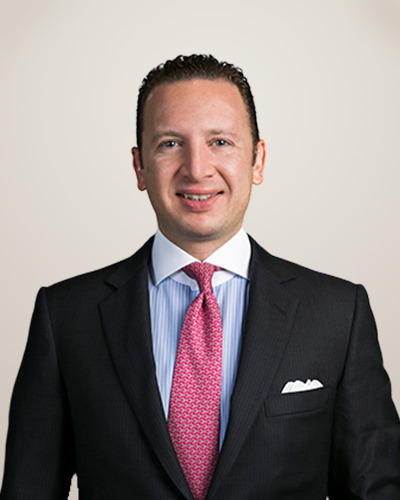 Mr. Özyeğin began his career in 1998 at Bear Stearns & Co. Inc., in New York City as a Financial Analyst within the Mergers & Acquisition Group. 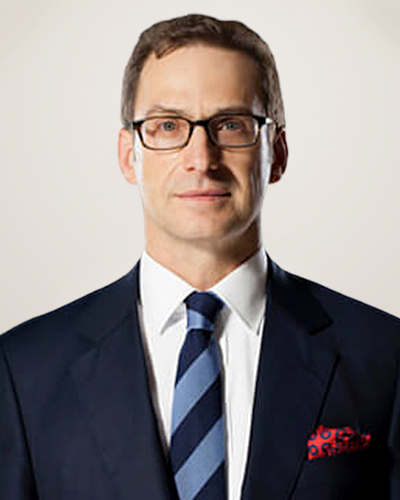 In 2000, he was appointed to Senior Analyst position at the London office of the same company. After his return to Turkey in 2003, he established the Strategy and Business Development Departments of Finansbank and FIBA Holding. He is the Chairman of DEİK/Turkey-Netherlands Business Council; Executive Board Member of Hüsnü M. Özyeğin Foundation, Turkish Industry and Business Association (TÜSİAD), Endeavor Turkey, Member of the Board of Trustees of Ozyegin University and World Wildlife Fund, Member of Global Relations Forum and Member of Global Advisory Council of Harvard University. Mr. Özyeğin is also the Honorary Consul - General of the Republic of Singapore. Mr. Özyeğin holds a BS in Industrial Management and Economics from Carnegie Mellon University and an MBA from Harvard Business School. He is 42 years old and has three children at the ages of 15, 13 and 8. Bahadır Balkır was born in 1964 and studied at the French high school Saint Michel. In 1988 graduated from the Industrial Engineering department of Istanbul Bosphorus University. Bahadır Balkır speaks French, English, Spanish, German and very few Russian. In 1989-1990 he worked in Chile as an industrial engineer in Arauco, which is the biggest wood industry group of South America. Starting from 1985 Balkır family represented Arauco in Turkey. Between 1991-1999 Bahadır Balkır worked in various companies of Balkır family around the World. He was responsible from the importation of wooden raw material into Turkey. He managed the operations in Chile as well as in United States, South Africa, New Zealand, Scandinavian countries and Russia. In 1999 he established Balorman and as of today he is the chairman of the board of directors of Balorman. Balorman manufactures wooden and plastic components for home appliance industry and also provides wooden pallet services to various sectors. He has been the president of Beysad (White Good Suppliers’ Associations) between 2010-2016. Bahadır Balkır is also active in the managemenet teams of the Turkish Wooden Products Manufacturers Association (TORİD) and the European Pallet and Packaging Confederation (FEFPEB). He is a board member of TÜSİAD (Turkish Industry and Business Association) and chairman of the Chilean business council at DEİK (Foreign Economic Relations Board of Turkey). His favorite sports are skiing and boxing. He listens latin and all other versions of jazz music. 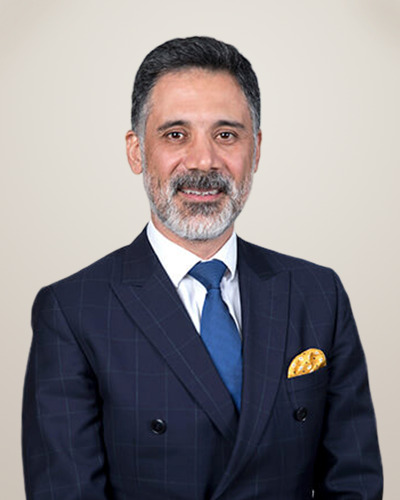 Occupation: President and Chairman of the Executive Committee Enka Insaat ve Sanayi A.S.
After his graduation from New York University with BA degree in Economics in 2005, Cem Tüfekçi joined family-owned Traçim Cement. In those days Traçim Cement was a greenfield startup investment. After holding several different roles in the early stage, he became the ERP Project Manager of Traçim Cement. Following several managerial positions, in 2011 he became Board Member of Traçim Cement, responsible of Executive Operations. In 2009 he founded Qualist Technology, a software development and technology company focused on industrial solutions. He is active in sectoral organizations and NGO’s. Alongside his mentoring activities, he is also a very active member of startup community. He has several private angel investments in startups. 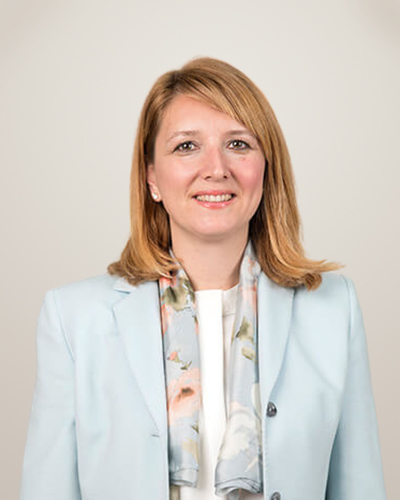 Serpil Veral serves as the Deputy Chairman of the Board of Directors of Sütaş Inc., the leading brand in milk and milk products sector in Turkey. Serpil Veral received her Bachelor’s degree in Food Engineering from Ege University . In 1988, she started working at Sütaş Süt Ürünleri A.Ş. as food engineer and until 2005 she served consecutively as Production Manager, Quality Assurance Coordinator and Director for Production. In 2005, she led the setting up, optimisation and reengineering of Human Resources, IT and other management systems in line with Sütaş Group’s vision, mission and restructuring strategies. 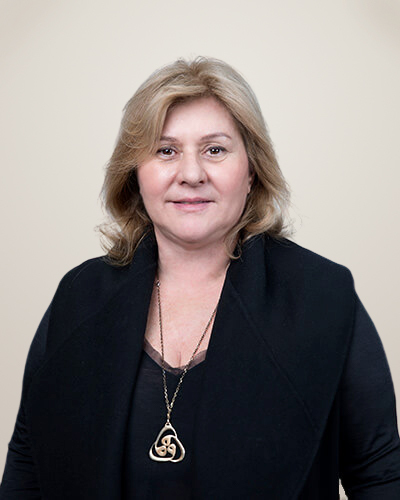 Serpil Veral served as the General Manager of Sütaş Süt Ürünleri A.Ş. between 2010-2016. 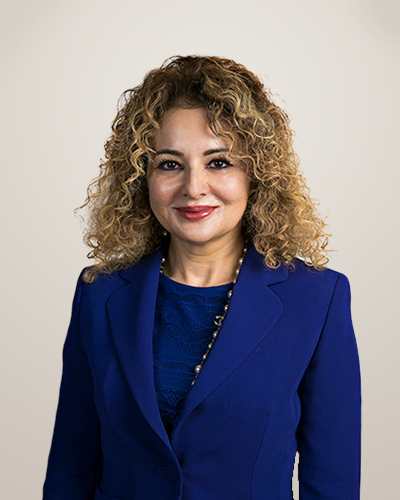 Serpil Veral, the Deputy Chairman of the Board of Directors of Sütaş Inc., is a member of Turkish Industry and Business Association (TUSIAD), Corporate Governance Association of Turkey (TKYD), Turkish Milk, Meat, Food Industrialists and Manufacturers Association (SETBIR) and Turkish Quality Assocation (KALDER). She is also Vice President of the Confederetion of Turkish Business and Enterprise and Member of the Executive Board. 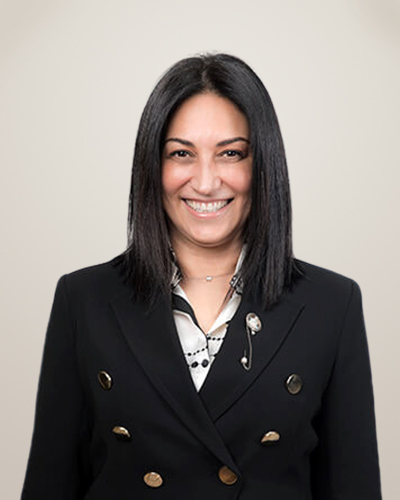 Ozlem Ozuner is the CEO of the Turkish entity of Euler Hermes, the global leader in credit insurance. Graduate of Bosphorus University in Political Science and International Relations, Ozlem Ozuner worked as Area Manager at Iktisat Bank and Senior Manager at Demirbank. Before her appointment to Euler Hermes Turkey as the CEO, Ozuner held a variety of managerial positions across HSBC Bank’s Retail, Commercial and Corporate divisions in all aspects of relationship management. Her most recent role was Group Head of Corporate Banking in Turkey. 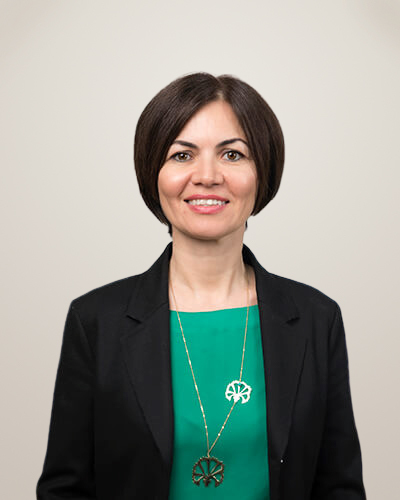 Ozlem Ozuner joined Euler Hermes in 2011 with 20 years of banking experience, out of which the last ten years with HSBC in London and Istanbul. Ozlem Ozuner is an alternate Board Member in TUSIAD, responsible from Economy and Finance. She was born in İzmir in 1970. After completing her secondary education in İzmir American College, she has graduated from Ege University Department of Textile Engineering in 1992. Her career has started with as a Customer Representative Assistant in 1991 under the structure of Yaşar Holding Textile ( YUTEKS ) and continued this position till the end of 1992. She has been started to work as a Customer Representative Assistant in Sun Textile A.Ş since 1992 till the end of 1995. Her career has followed between the years of 1995-1997 Human Resources Responsible, 1997-1999 Planning of Production, and the following positions between the years 1999-2005 Sales Manager, 2006-2016 General Manager. She has been still continued working as a Chairman of Board in Sun Textile company which is a one of the leader of sector. 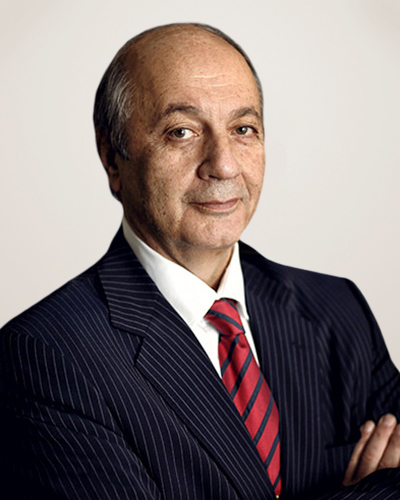 Ünlütürk, has been serving as a board member of the business organization such as AISSEC adviser board member, TAİDER ( Turkish Family Business Association ) TÜSİAD ( Turkish Enterprise and Business Confederation ) KALDER ( Turkish Qality Association ) EİB ( Aegean Exporter Association ). She has a language skills; first ,Upper intermediate English and intermediate German. She is married and she has one daughter. Dr. Izel Levi Coskun harmonized his experience in various sectors with two core values “Sustainability” and “Entrepreneurship”. At the same time, he keeps writing articles about “Sustainability” and “Entrepreneurship” for Harvard Business Review blog and other foremost business mags in Turkey. Dr. Izel Levi Coskun is a member of Turkish Industry & Business Association (TUSIAD), Union of Chambers of Certified Public Accountants of Turkey, Turkish Internal Auditors’ Association, Turkish Association of Accounting Experts, Endeavor, Keiretsu Forum, Buğday Association for Supporting Ecological Living, Gökçeada Volunteers Association, TAİDER Family Business Association, Turkish Marine Environment Protection Association, Ada Dostları Association and Transparency International Turkey. Önder Sezgi graduated from the Faculty of Political Sciences, Department of Public Administration at Ankara University in 1988. He started his professional career in the Ministry of Finance as Tax Inspector and worked at the Tax Inspection Board until 1998. In May 1998, he joined Bilkent Holding in charge of auditing the group companies. 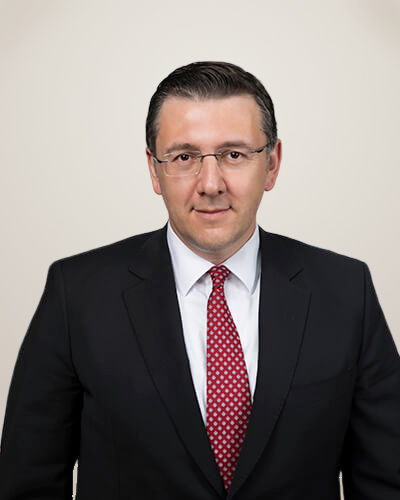 From 2005 to 2016 he served as the CFO of Bilkent Holding while also holding several positions on the Board of Directors of Bilkent Holding Group companies. 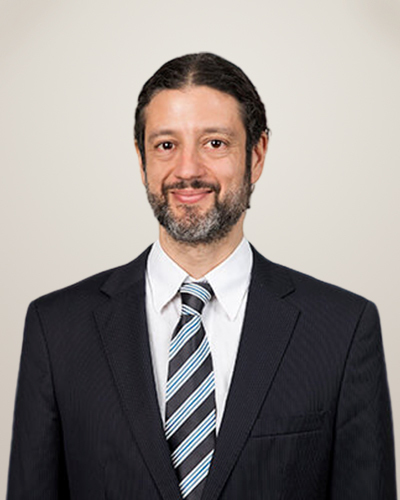 During this period he also continued to serve on the Board of Directors and Audit Committee of TAV Havalimanlari Holding (TAV Airports Holding) and on the Board of Directors of TAV Yatirim Holding (TAV Investment Holding) and their subsidiaries. 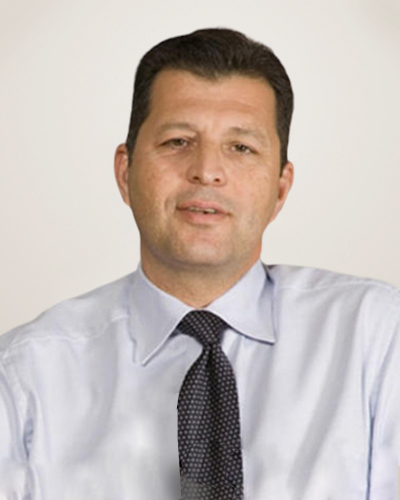 Between 2011-2013 he was appointed Executive Vice Chairman and CEO of IDO (Istanbul Fast Ferries Co.). 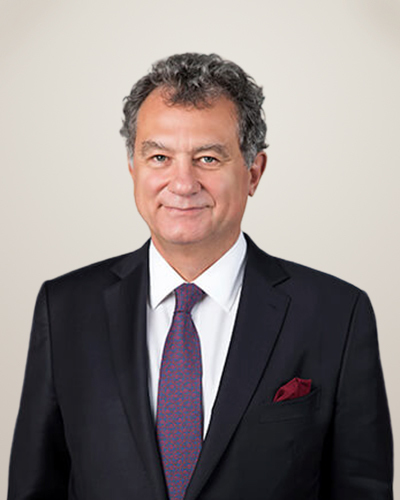 Sezgi was appointed Member of Bilkent Holding Executive Committee as of 2014 and also currently serving as Vice Chairman of the Board of Directors of Bilkent Holding Group companies. Sezgi has written and published more than 35 articles on economy, tax, law and finance in various newspapers and journals and has participated in more than 20 conferences and panels as a speaker on these subjects. Sezgi is Sworn-in Certified Public Accountant, Certified Independent Auditor and has undertaken various studies and tasks at the Tax Council, TUSIAD (Turkish Industry and Business Association), YASED (International Investors Association of Turkey), Foundation of Tax Inspectors and TURMOB (Union of Chambers of Certified Public Accountants of Turkey). 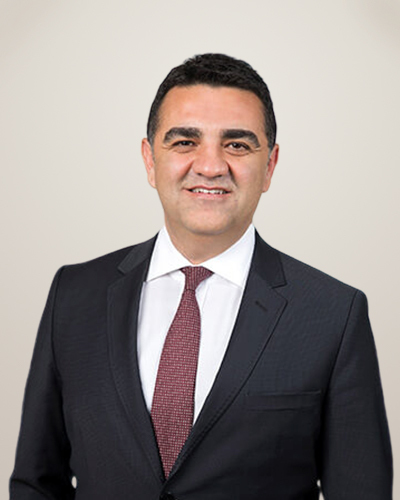 Ozgur Tanrikulu is the Managing Partner for McKinsey & Company in the EEMA region, covering Africa, the Middle East, CIS (including Russia, Kazakhstan and Azerbaijan) and Turkey. He is also a Senior Partner of the firm. He advises leading companies on a wide range of topics including transformation programs, growth strategy, international expansion, performance improvement, digital economy, organizational development and leadership talent development. 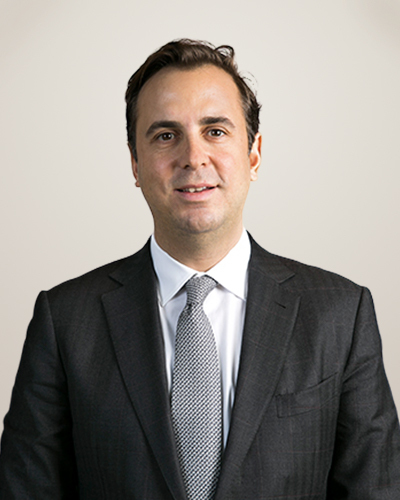 In addition to his client responsibilities, Ozgur holds various global roles within McKinsey, including as a member of the Partnership Service Team. Since joining McKinsey18 years ago, Ozgur has been based in the US, UK, France, Japan, UAE, Turkey and South Africa and has worked in over 20 countries. He has led the financial services practice in the Middle East. 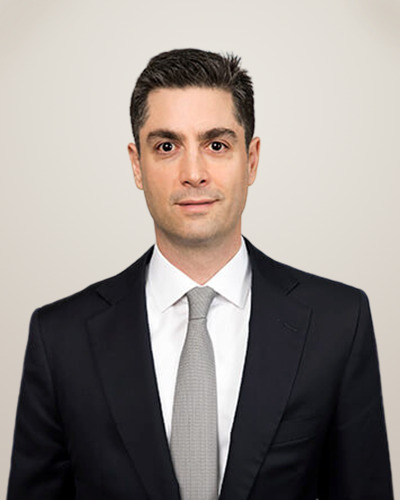 From 2012 to 2018 Ozgur was the Managing Partner of the firm’s Turkey’s office. 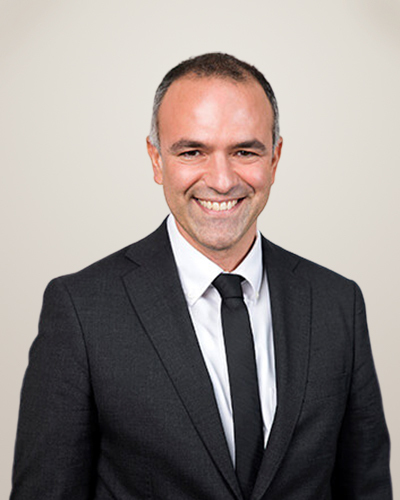 Ozgur is passionate about leadership and diversity. He believes that one of the greatest opportunities and challenges facing global business is to develop the next generation of local leaders. He has been a speaker and moderator on many platforms over the years, including at WEF, various universities and other conferences. Prior to joining McKinsey, Ozgur worked as a project manager for United Technologies Corporation in USA, France and UK, where he led various projects on cost reduction, process improvement and e-business. Ozgur has a degree in industrial engineering from Boğaziçi University, Turkey, and a Masters in Management from Purdue University, USA. He is passionate about reading and travel and plays the guitar. 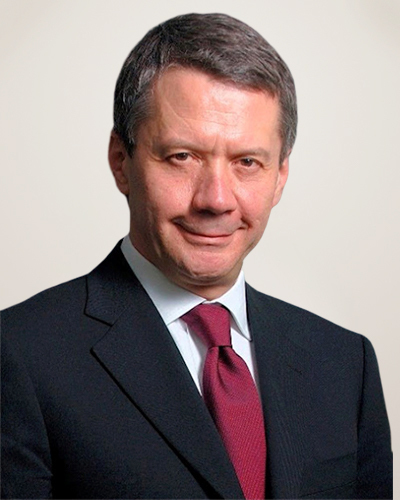 Öget Kantarcı, a graduate of Political Science at Koç University, started his career at Peugeot. After serving at Turkcell as Corporate Sales Director, he worked for Estore and launched his e-commerce career, which continued at Otto Group in 2009. He joined GittiGidiyor, an eBay company, in 2014 as Director of Commerce, and was promoted to General Manager in 2015. On January 1, 2018, Kantarcı also became Director of eBay’s MENA territory. Kantarcı was elected President of the TOBB E-Commerce Council in 2016, and led the establishment of TÜSİAD’s E-Commerce Working Group, becoming its first president in 2018. Kantarcı, who has been elected to the TÜSİAD Board of Directors in 2019 and appointed Vice Chairman of the Digital Transformation Round Table, is also a member and serves as Board Consultant of Galatasaray Sports Club. Meltem Akol graduated from Istanbul University, Faculty of Law in 1991 after completing her education at Robert College Istanbul. She received her master's degree from Harvard University School of Law. Her legal career started at White & Case LLP in 1991. By 2007, she was appointed as Partner which was followed by her role as the Managing Partner of the Istanbul Office from 2009 until the end of 2015. Since 2016, she has been continuing her career as the Founding Partner of Akol Namlı & Partners Law Firm. 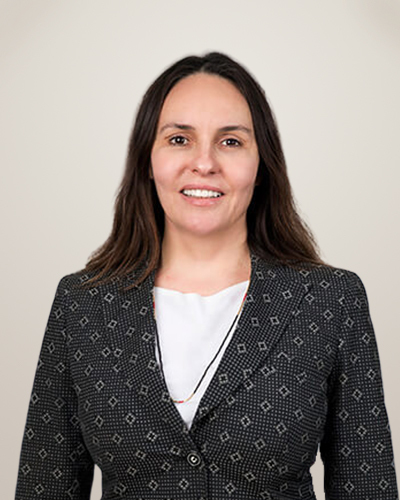 Meltem Akol’s experience of over 25 years mainly concentrates on cross-border mergers and acquisitions, capital markets, private equity transactions, joint ventures, bank financing, structured finance and PPPs. Meltem Akol assisted many leading multinational strategic investors, private equity funds, financial institutions and funds in connection with their investments in various sectors including retail, infrastructure, financial institutions, healthcare, automotive, industrial and manufacturing, energy, ports, construction and real estate in Turkey. She has been involved in numerous major large-size international M&A, capital markets and finance transactions across a wide range of sectors, including “first of their kind” and “most complex of their kind” transactions. Her career was shaped within the investment environment of Turkey with a unique insight to the perspectives of foreign investors. Meltem Akol has been recognized as one of the best and most experienced lawyers by international ratings agencies, widely accepted in the international arena and described as one of the undoubted leading M&A and Capital Markets lawyers of Turkey, her success being ranked as Tier 1 by all well-known legal directories and bringing her various awards given to selected women leaders and best lawyers around the world. Ms. Oya Narin was born in İstanbul, She graduated St.Michel high school and the Bachelors Degree from the Hotel Ecoliere Lousanne in Switzerland. She started her professional career by working at Hotel Metropole in Geneve / Switzerland, and Sheraton Hotels Hawaii Pasific Division. She worked at Narin Textile industry since 1988 and worked at various dept. as a manager at Martı Hotels and Marinas then has become Chairwomen of Marti Hotels chain since 2008. She became a Chairwomen of the board of Turkish Tourism Investers Assosiation (TTYD) which she has been the member since 1988. 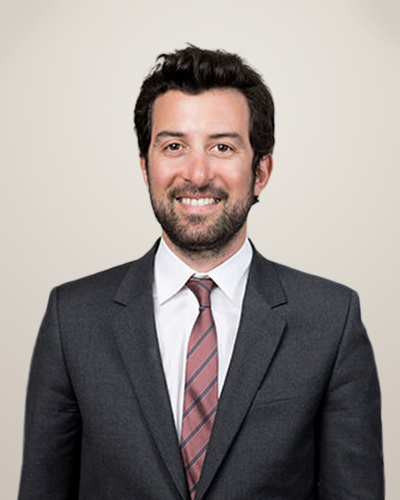 Born in 1984, Emre Eczacıbaşı received his undergraduate degree from Harvard University’s Department of Economics in 2006 and MBA from Columbia Business School in 2011. 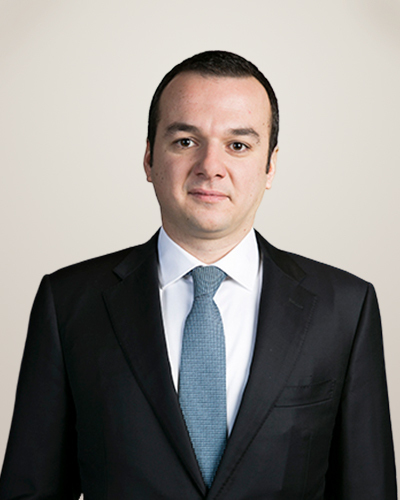 Before joining the Eczacıbaşı Group’s Strategic Planning and Finance Division in 2008, Emre Eczacıbaşı worked at PricewaterhouseCoopers Turkey as a financial consultant. Between 2011 and 2013, he realized several microfinance and social entrepreneurship projects through a start-up he established in the US. In 2013, he returned to Turkey and the Eczacıbaşı Group as a member of the Building Products Division’s Strategic Marketing team. 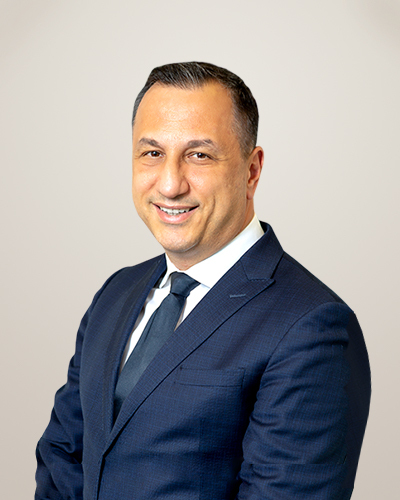 In 2015, Emre Eczacıbaşı was appointed General Manager responsible for all operations related to the Division’s kitchen business, reporting directly to the Executive Vice President of the Building Products Division. On 1 January 2019, he was appointed to his current position as Coordinator of Innovation and Entrepreneurship for the Eczacıbaşı Group.